ESPERANÇA/CUMARU, Brazil, Jul 12 2018 (IPS) - “Now we live well,” say both Givaldo and Nina dos Santos, after showing visiting farmers their 1.25-hectare farm in Brazil’s semi-arid Northeast, which is small but has a great variety of fruit trees, thanks to innovative water and production techniques. Givaldo began his adult life in Rio de Janeiro, in the southeast, where he did his military service, married and had three children. Then he returned to his homeland, where it was not easy for him to restart his life on a farm in the municipality of Esperança, in the northeastern state of Paraiba, with his new wife, Maria das Graças, whom everyone knows as Nina and with whom he has a 15-year-old daughter. “I’d leave at four in the morning to fetch water. I would walk 40 minutes with two cans on my shoulders, going up and down hills,” recalled the 48-year-old farmer. But in 2000, thanks to a rainwater collection tank, he finally managed to get potable water on Caldeirão, his farm, part of which he inherited. And in 2011 he got water for production, through a “barreiro” or pond dug into the ground. Two years later, a “calçadão” tank was built on a terrace with a slope to channel rainwater, with the capacity to hold 52,000 litres. “Now we have plenty of water, despite the drought in the last six years,” said 47-year-old Nina. The “barreiro” only dried up once, two years ago, and for a short time, she said. Besides storing water in the “barreiro”, they also raise tilapia (Oreochromis niloticus), a species of fish, for their own consumption. Meanwhile, in the garden, in addition to fruit trees, they grow vegetables, whose production will increase thanks to a small greenhouse that they have just built, where they will plant tomatoes, cilantro and other vegetables for sale, Nina said with enthusiasm. Some time ago, the couple stopped raising chickens, which were sold at a good price due to their natural diet. “We had 200, but we sold them all, because there are a lot of robberies here. You can lose your life for a chicken,” Givaldo said. 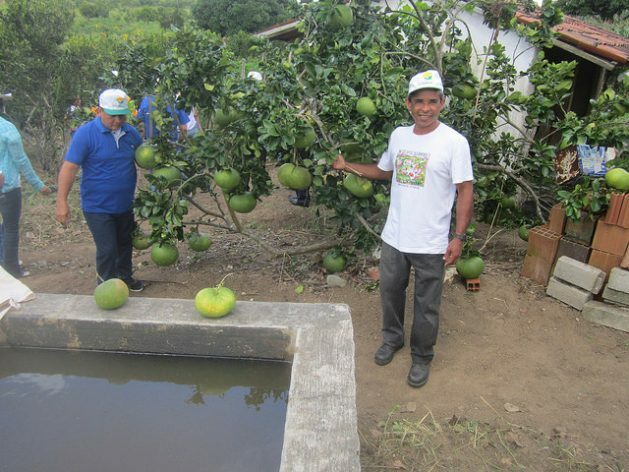 Organic production, diversified and integrated with the efficient utilisation of water, turned this small farm into a showcase for ASPTA, an example of how to coexist with the semi-arid climate in Brazil’s Northeast. This is why they frequently receive visitors. “Once we were visited by 52 people,” said the husband. In the last week of June, the couple received 20 visitors from El Salvador, Guatemala and Honduras, mostly farmers, in an exchange promoted by the United Nations Food and Agriculture Organisation (FAO) and Brazil’s Articulation of the Semi-Arid (ASA), a network of 3,000 social organisations, including ASPTA. Three tanks for drinking water and one for production, a biodigester that generates much more gas than the family consumes, a system for producing liquid biofertiliser, another for composting, a small seedbed, cactus (Nopalea cochinilifera) and other forage plants are squeezed onto just half a hectare. “We bought this half hectare in 2002 from a guy who raised cattle and left the soil trampled and only two trees. Now everything looks green,” said Joelma, who has three children in their twenties and lives surrounded by relatives, including her father, 65, who was born and still lives in the community, Pedra Branca, part of Cumaru. On the original farm they have an agro-ecological laboratory, where they also have chicken coops and a bathroom with a dry toilet, built on rocks, in order to use human faeces as fertiliser and to “save water”. “We reuse 60 percent of the water we use in the kitchen and bathroom, which passes through the bio water (filtration system) before it is used for irrigation,” Joelma said, while reciting her almost endless list of sustainable farm practices. 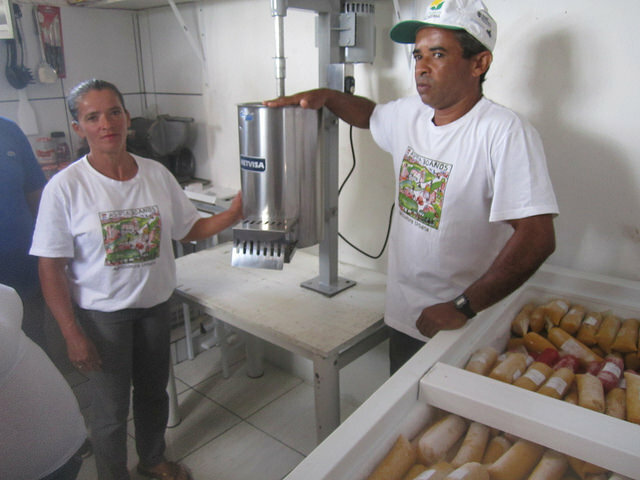 It all began many years ago, when her husband became a builder of rainwater collection tanks and she learned about the technologies promoted by the non-governmental Sabiá Agro-ecological Development Centre in the neighbouring municipality of Bom Jardim. Sabiá is the name of a bird and a tree that symbolise biodiversity. Some tobacco seedlings stand out in a seedbed. “They serve as a natural insecticide, along with other plants with a strong odor,” she said. 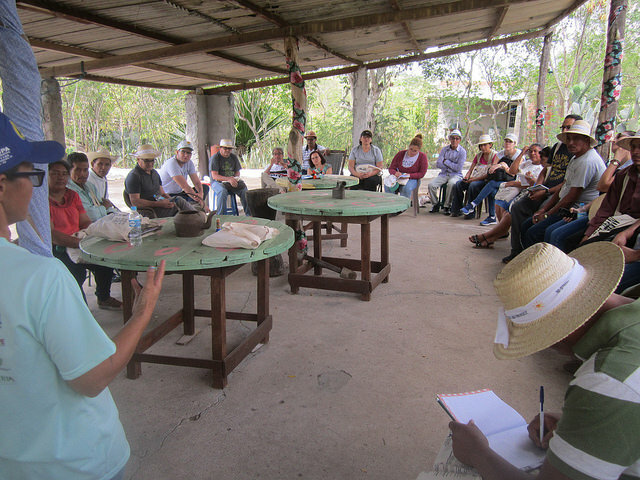 “Joelma is an important model because she incorporated the agroforestry system and a set of values into her practices,” Alexandre Bezerra Pires, general coordinator of the Sabiá Centre, told the Central American farmers during the visit to her farm. “The exchanges with Central America and Africa are a fantastic opportunity to boost cooperation, strengthen ties and help other countries. The idea of coexisting with the Semi-Arid (ASA’s motto) took the Central Americans by surprise,” he said. 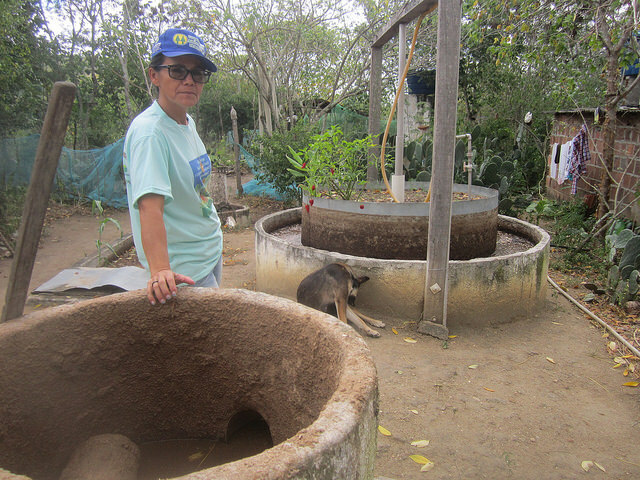 The biodigester is the technology of “greatest interest for Guatemala, where they use a lot of firewood,” said Doris Chavarría, a FAO technician in that Central American country. She also noted the practices of making pulp from fruit that are not generally used because they are seasonal and diversifying techniques for preparing corn as interesting to adopt in her country. “We don’t have enough resources, the government doesn’t help us, the only institution that supports us is FAO,” said Guatemalan farmer Gloria Diaz, after pointing out that Brazilian farmers have the support of various non-governmental organisations. She was referring to family farmers in Bom Jardim who sell their produce in Recife, the capital of the state of Pernambuco, with a population of 1.6 million.